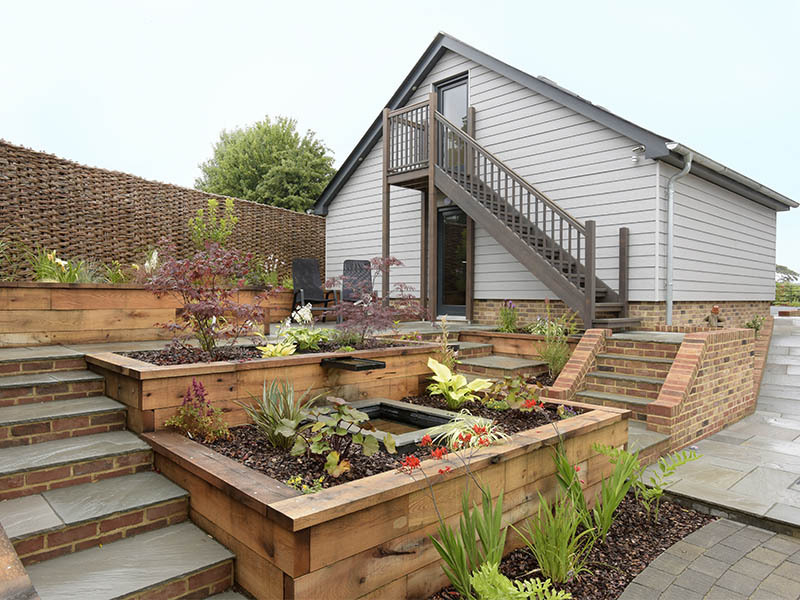 Beechway, was a small, empty detached bungalow on a prime parcel of land near Kingston Park & the River Deben. 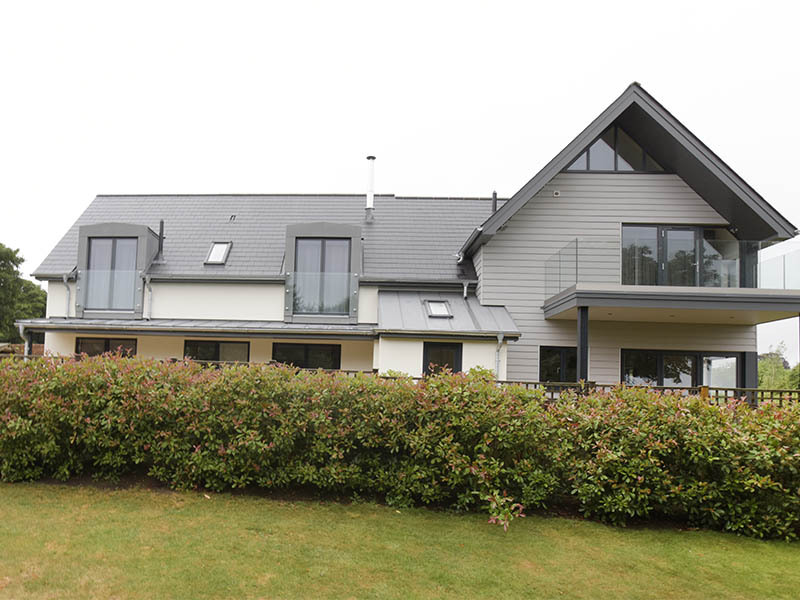 The bungalow was demolished & a large unique modern family home was planned & developed making the most of its amazing River views. 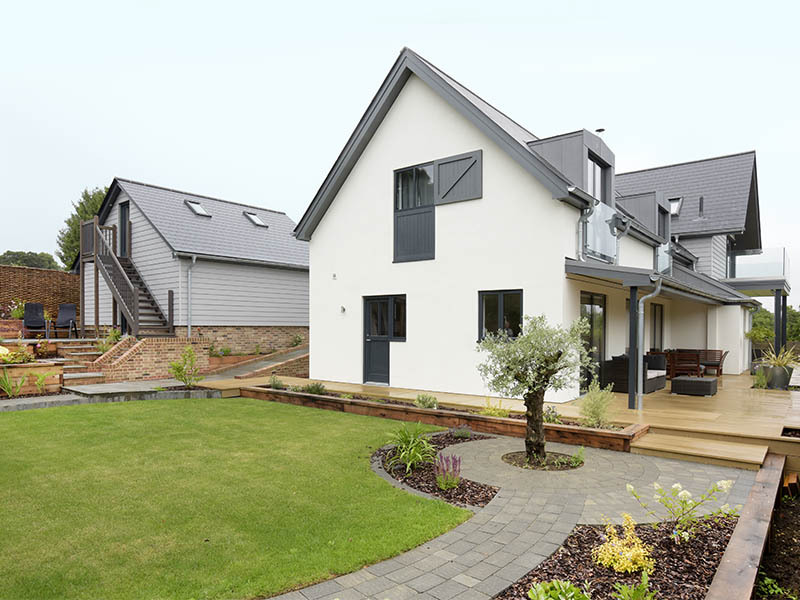 The new 5 double bedroom /3 bathroom/ ensuite house was Architecturally designed as a SIPS timber frame house which was constructed on a concrete piled foundation due to poor ground conditions. 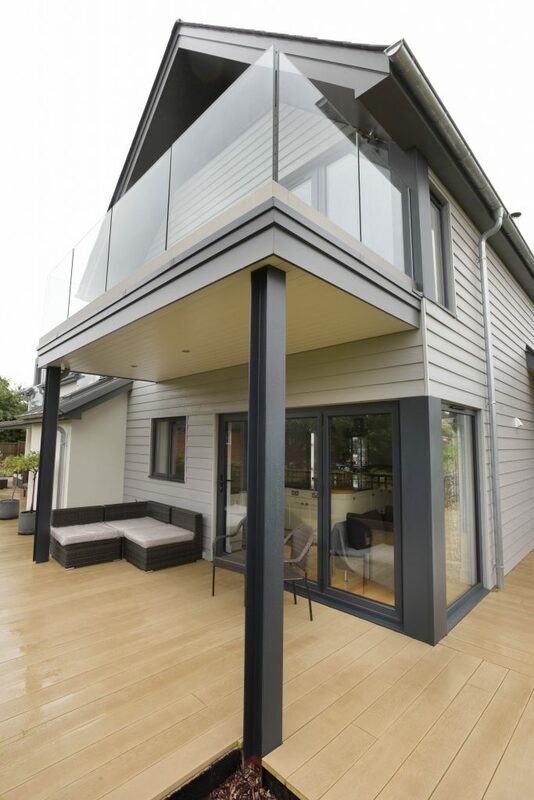 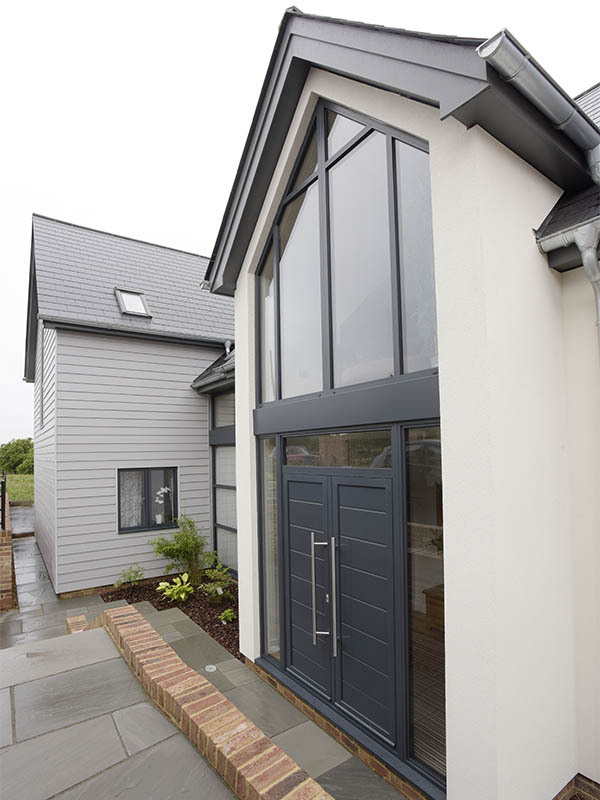 The timber framed house was clad, rendered & boasts zinc clad dorma’s & veranda, along with a beautiful balcony which makes the most of outside living. 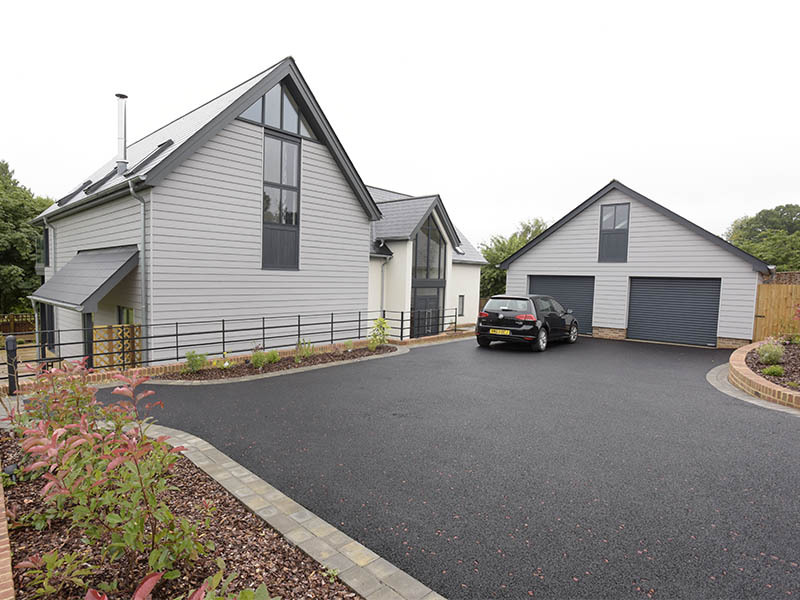 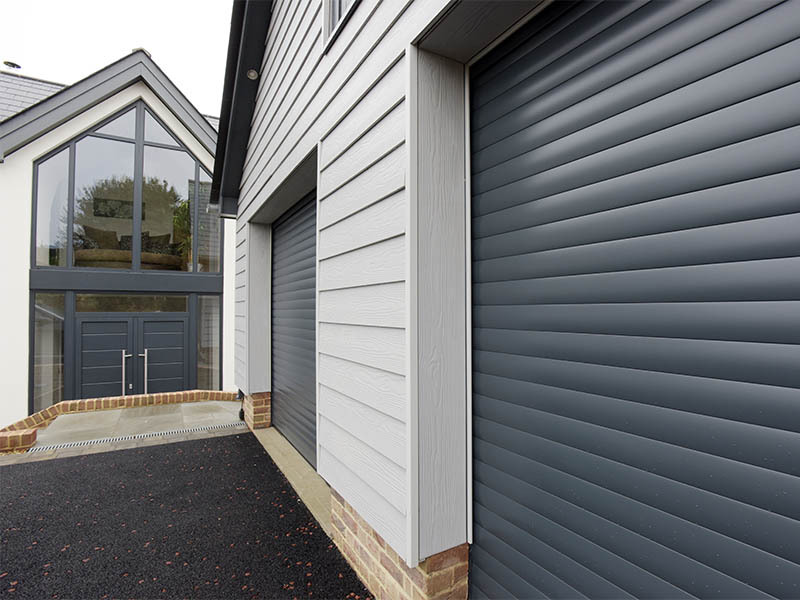 The house was complemented with a tarmac drive & double garage with a fully insulated studio space above which is accessed via an external timber staircase.